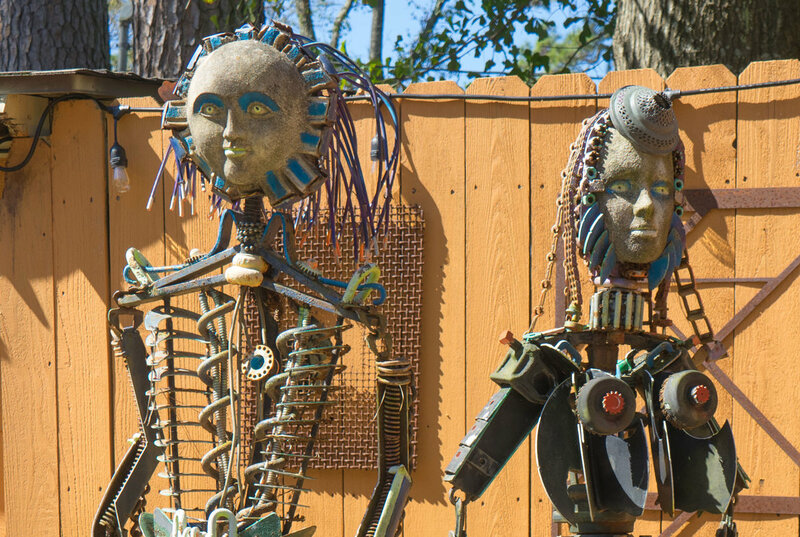 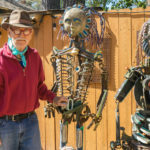 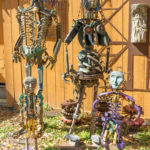 André is an industrial folk artist who crafts exquisite metal sculptures composed exclusively of junk metal parts otherwise destined for a landfill. 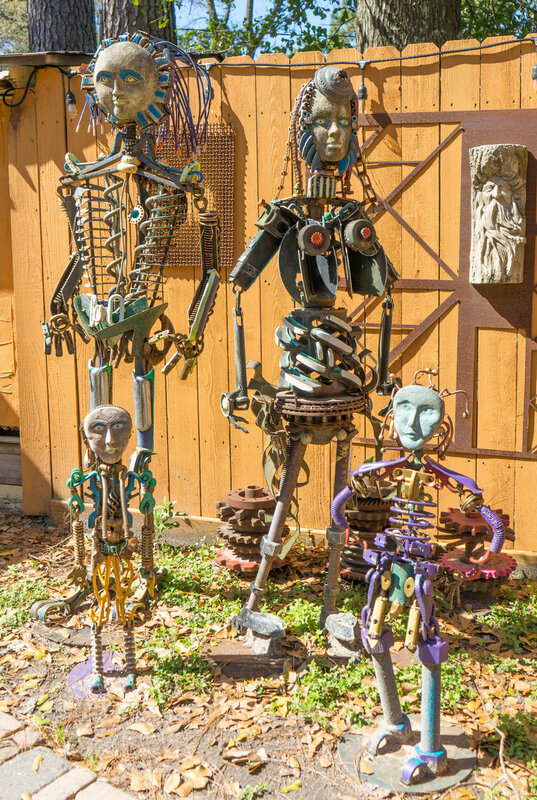 Each random metal part forms the basis of something entirely new. 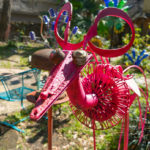 Shelving brackets might become wings for a bird, an old lawnmower blade forms the bird’s face and a drill bit its tail. 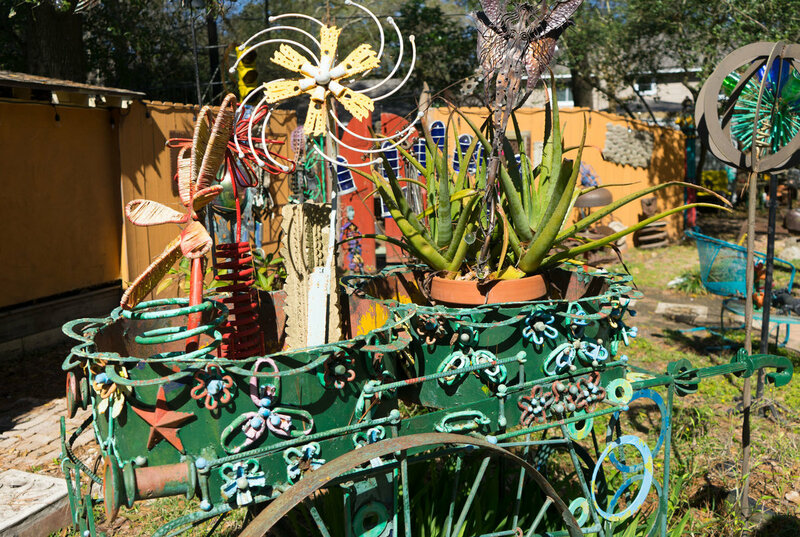 It’s a practice André calls found-object art. 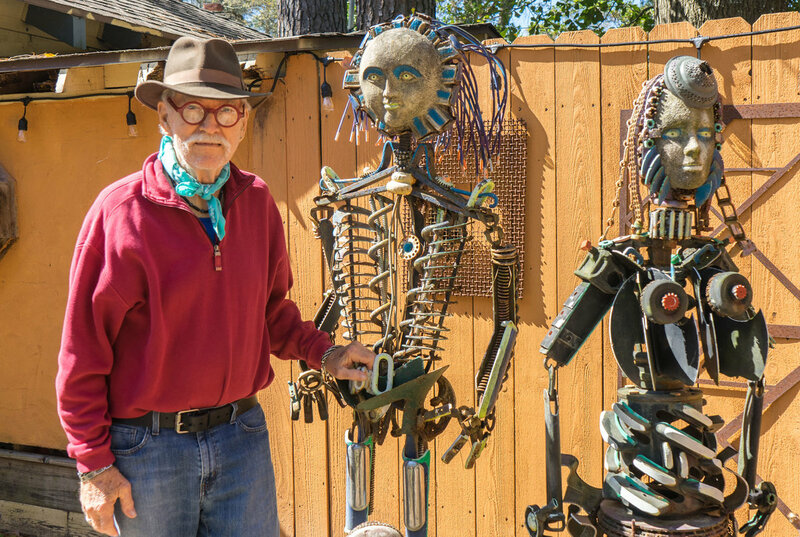 “I think it excites the child in me,” he says. 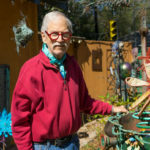 Perhaps his most eye-catching local work is the 7-foot purple elephant in front of the Purple Elephant Art Community on McSwain Road. 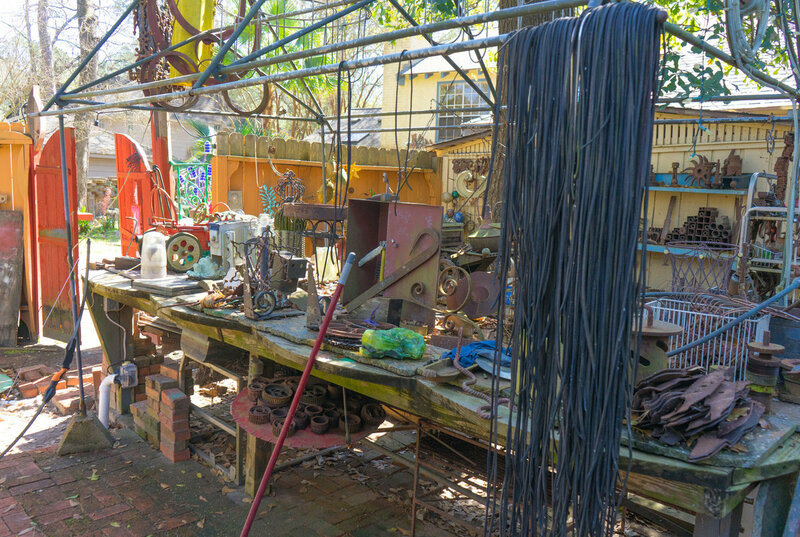 It took André three years to weld the elephant using heaps of metal he collected in his driveway. 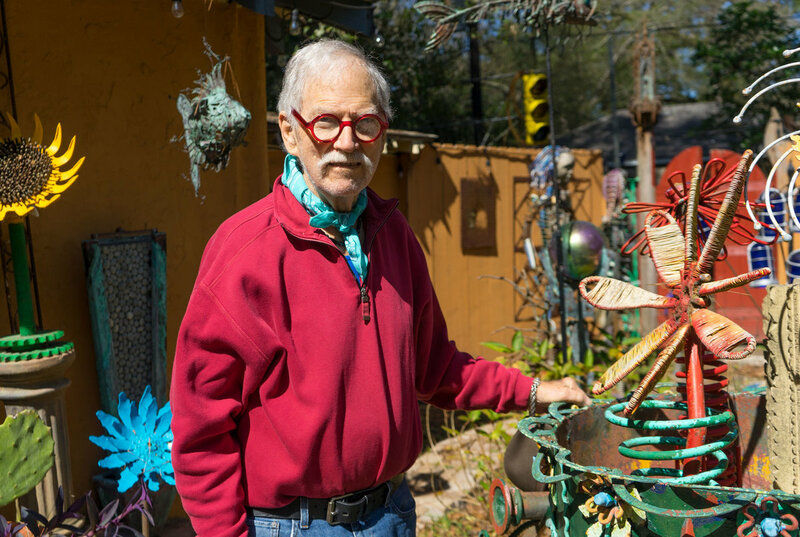 “I went in without any idea or concept of what I was trying to do,” he says, laughing. 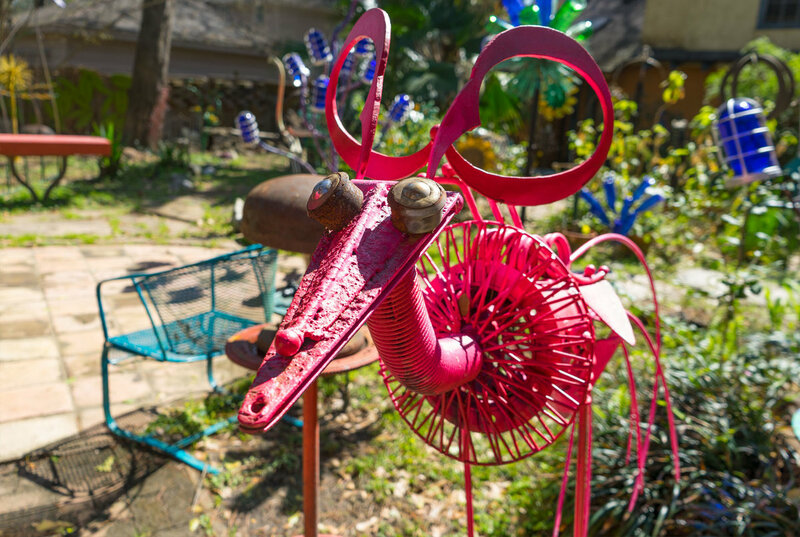 Over the years, 79-year-old André developed a knack for creating metal critters. 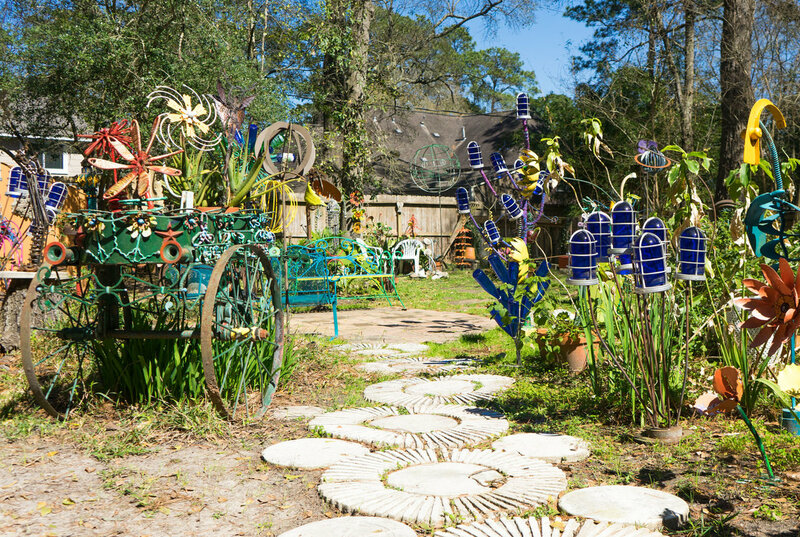 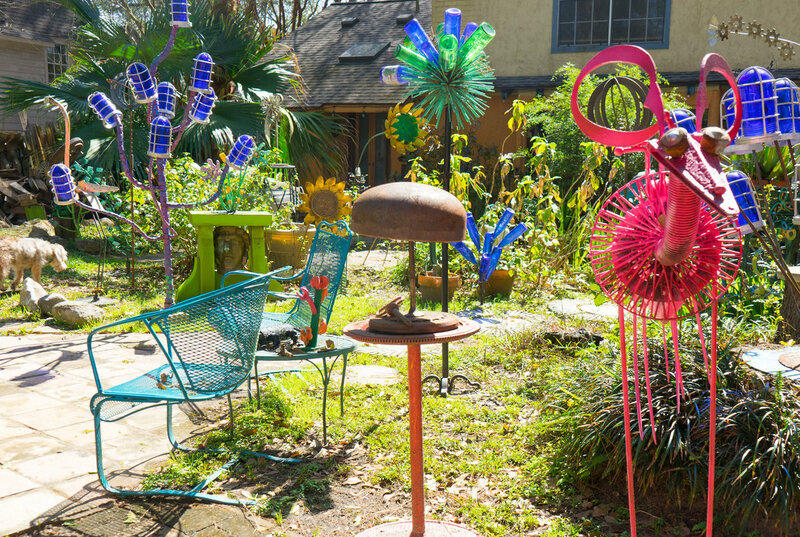 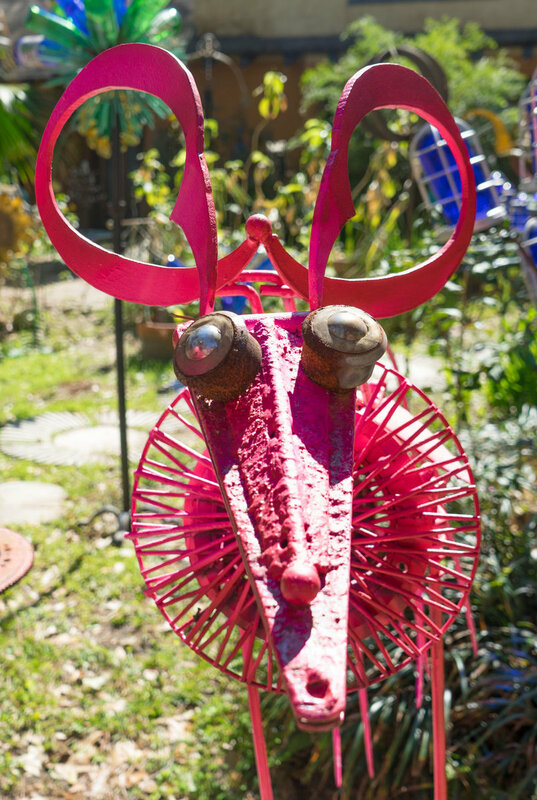 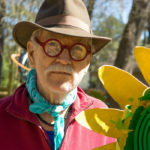 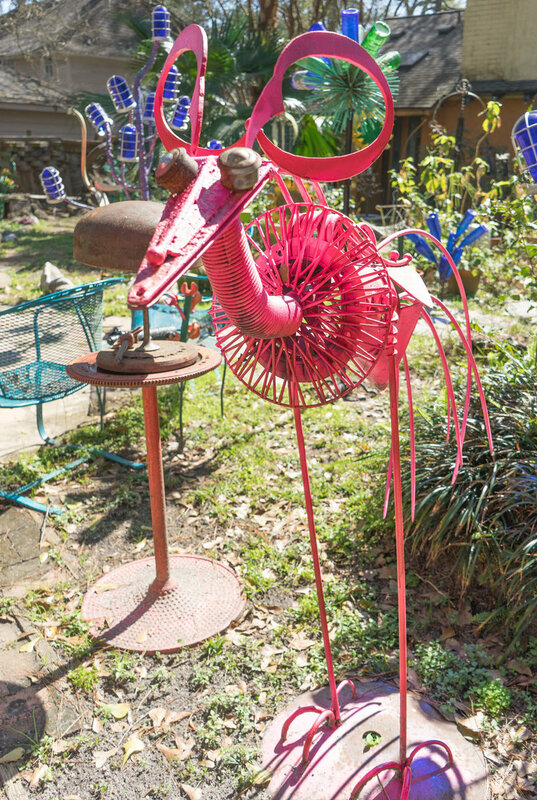 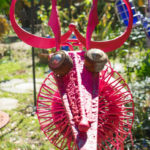 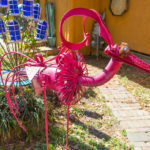 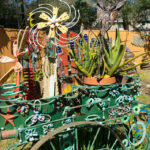 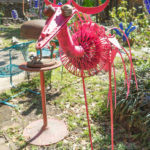 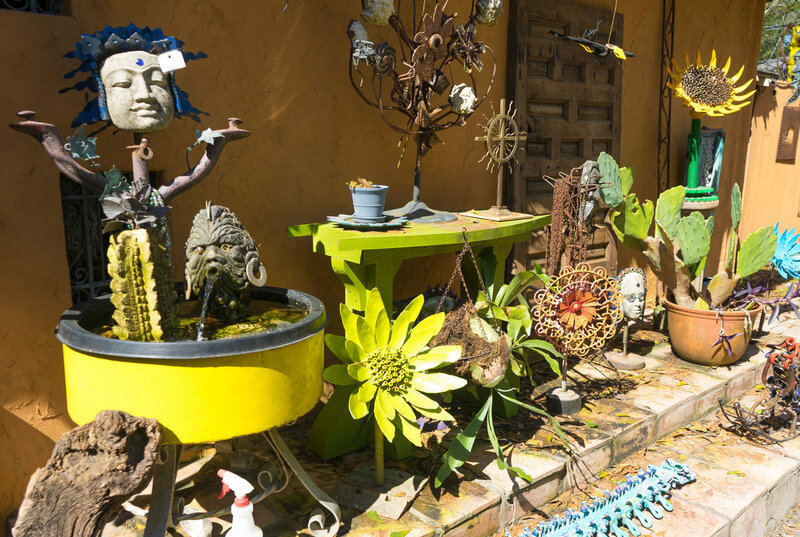 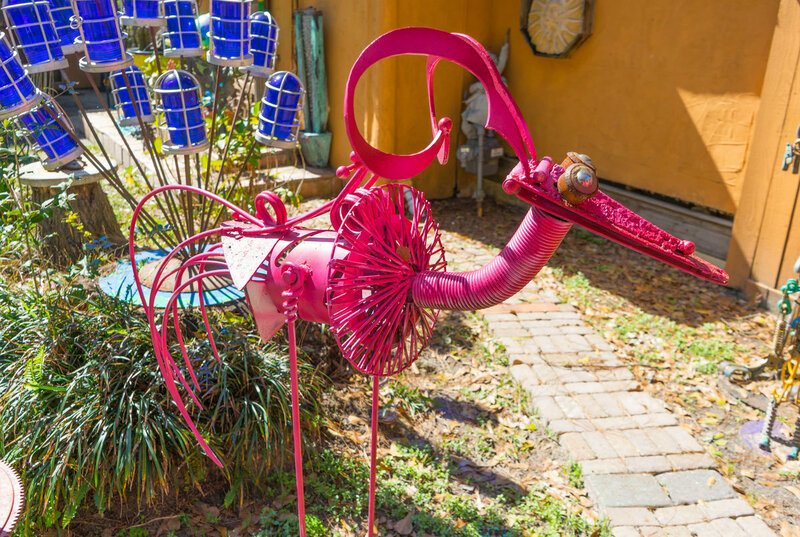 He’s skillfully sliced, welded and painted more than 300 sculptures of vibrant flowers, metal birds, alligators, insects—even humans. 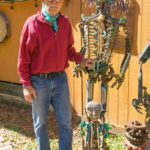 His art is funky, visually fascinating and crafted with extraordinary detail. 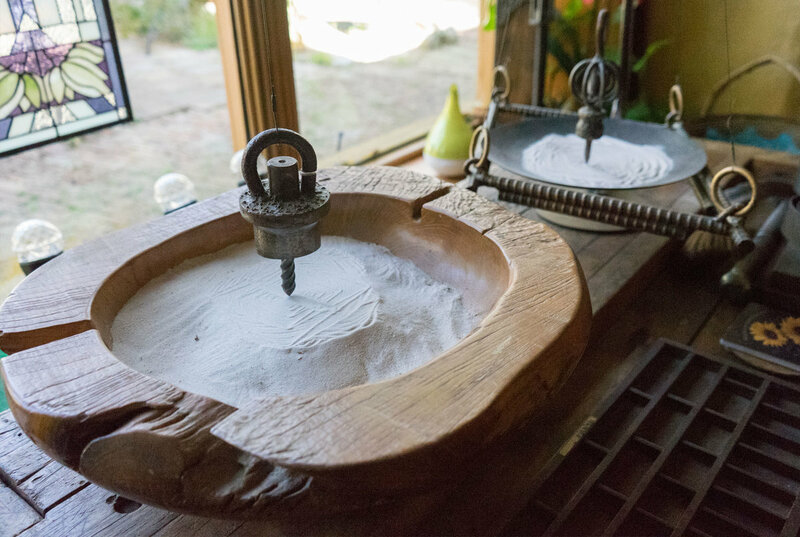 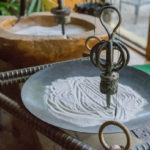 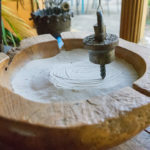 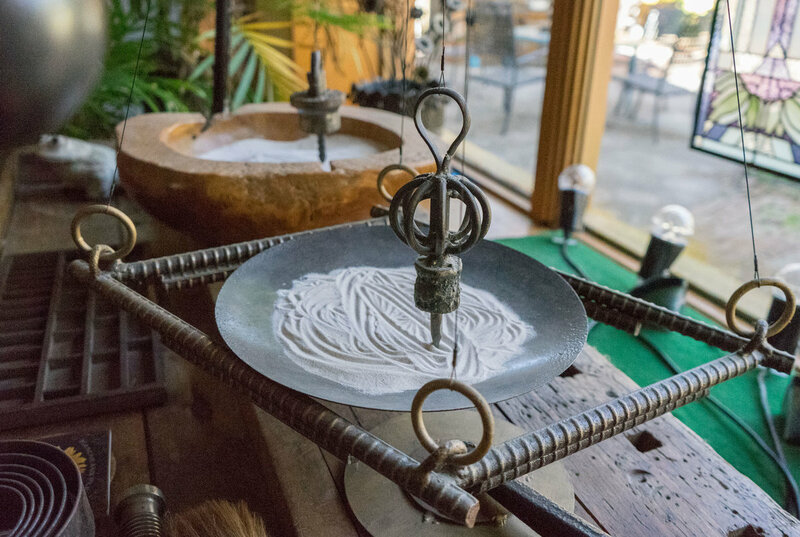 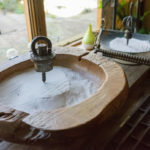 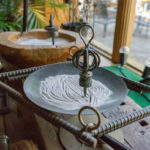 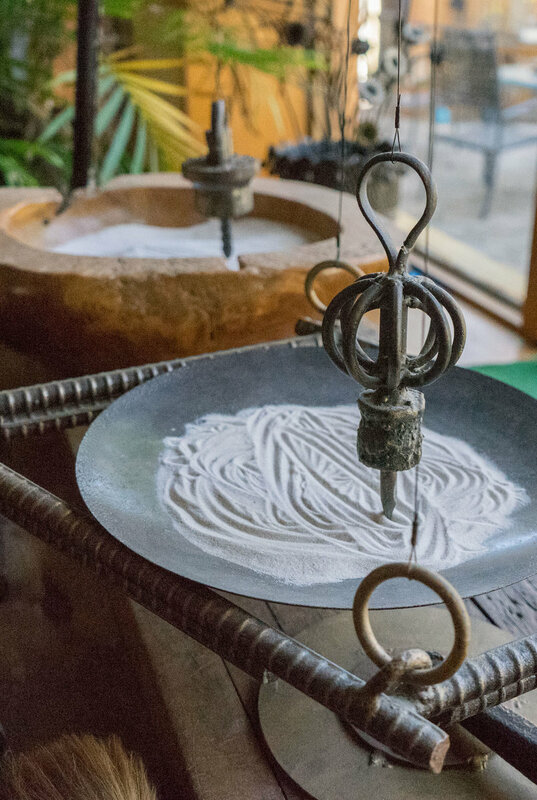 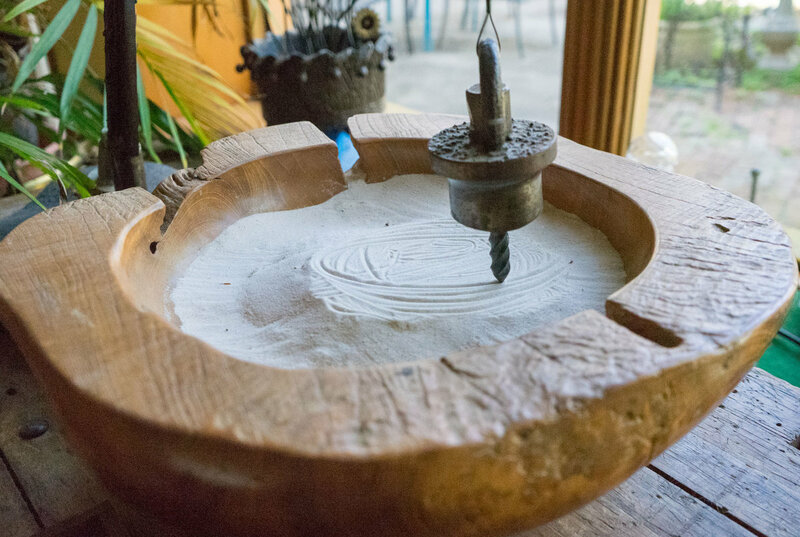 His most captivating work is something called a sand writer, a pendulum sculpture that when touched draws designs on a sand-filled basin. 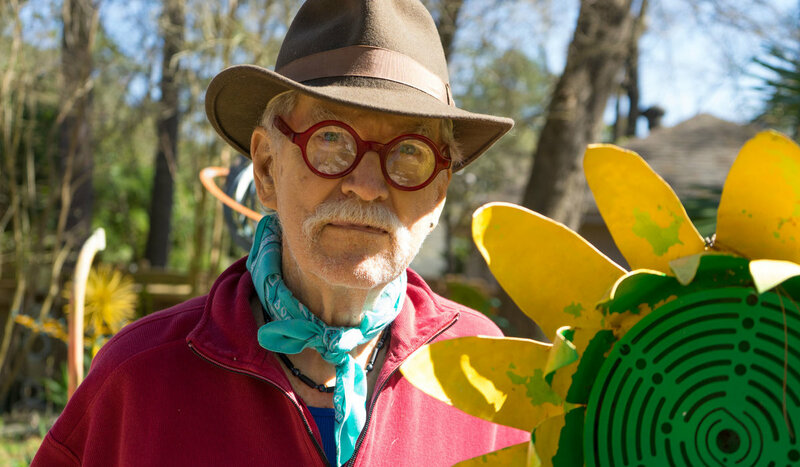 A recent stroke has slowed André down. 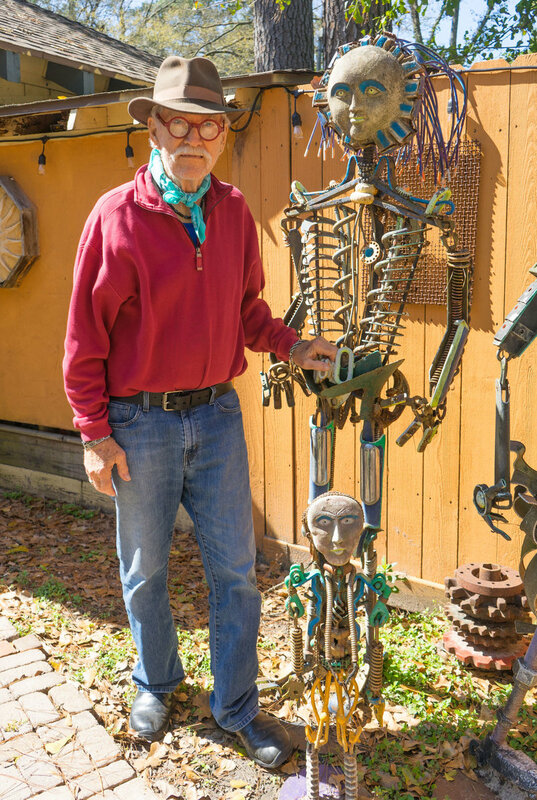 His days of traveling art shows are over. 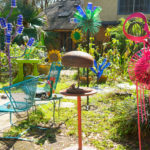 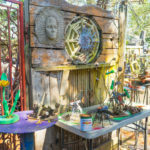 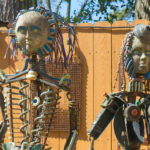 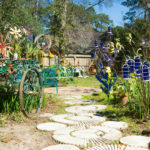 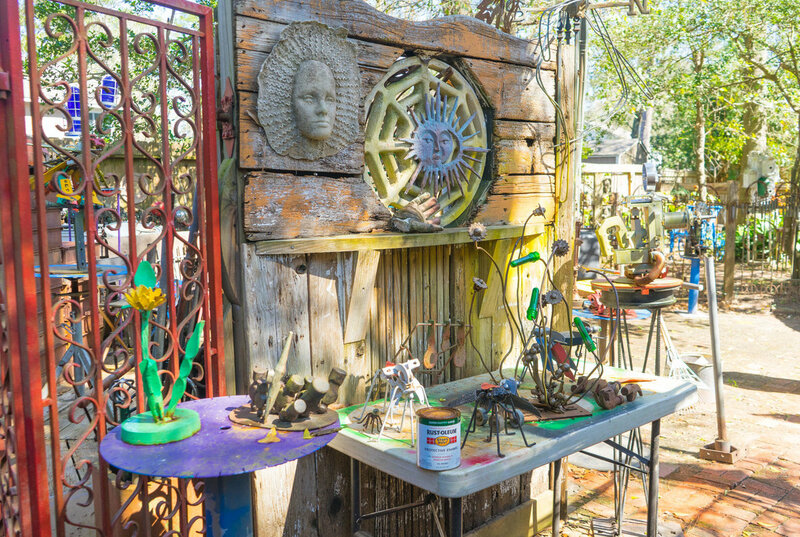 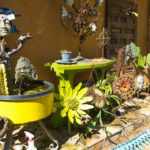 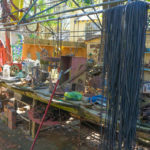 He now invites visitors to his backyard gallery to view or purchase his art, but his creativity is nowhere near finished.